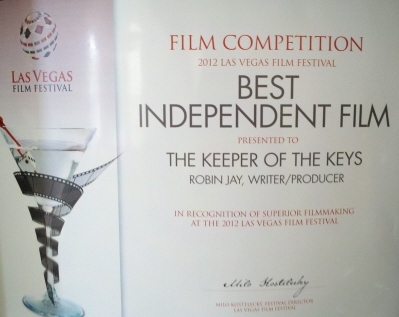 I am pleased to announce that The Keeper of the Keys won the 2012 award for Best Independent Film at this week’s Las Vegas Film Festival. The film was also chosen as an “Official Selection” and was screened at the LVH Hotel and Casino during the festival. Another great accolade for this fantastic movie.